I was Just casually checking the /logs of my forum and found a weird warning multiple times! "style": "background-color: #" + category.color + "; color: #" + category.text_color + ";"
Is there anything to worry about or is it the expected behaviour? All stock plugins, Repro possible in safe mode as well. We can reproduce the behavior with the Brand header theme component installed and activated. Without it, everything goes fine. 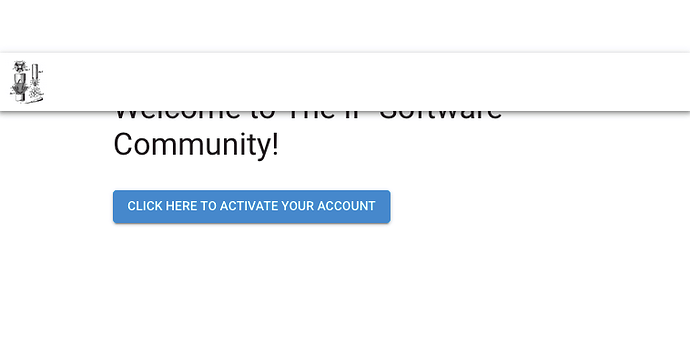 We can reproduce the behavior on the /u/activate-account page with the Brand header theme component installed and activated. Without it, everything goes fine. maybe you are the right ones to talk to about an issue we are currently having with the brand header theme component you are authoring / have been contributing to? We just added it on GitHub at Croaks with "TypeError: Discourse._registerPluginCode is not a function" · Issue #1 · discourse/discourse-brand-header · GitHub. It looks like the main Discourse instance is not yet available when being called by the brand header theme component on the account activation page. This smells like a timing issue re. resource initialization order. Maybe you could have a look when you can afford some time? would obviously be completely clueless about this and will just attempt to run the plugin registration right away as if nothing happened, ultimately croaking there. Then we correctly protect our core and don’t amend the behavior. should happen exactly. In Discourse core on specific static / no_ember pages or on the plugin side? By pulling together some educated guessing, improved duck typing and a bit of monkey patching as @sam already might have suggested by his comment referenced above (thanks for the valuable hint! ), we have been able to find the root cause and to provide a drop-in workaround. The root cause must be elsewhere, we just added an appropriate topic outlining our observations. When running this snippet in the Header phase (</head> will be too early!) of a theme component, it makes this error go away by monkey patching the ill-called _registerPluginCode method as a noop. The safeguards mentioned above will be able to do their jobs again and not croak on the browser console.